What if you still want to drive in Thailand. You can get an International License from AAA offices before you leave the USA. If you move to Thailand, there are other processes that you have to follow. 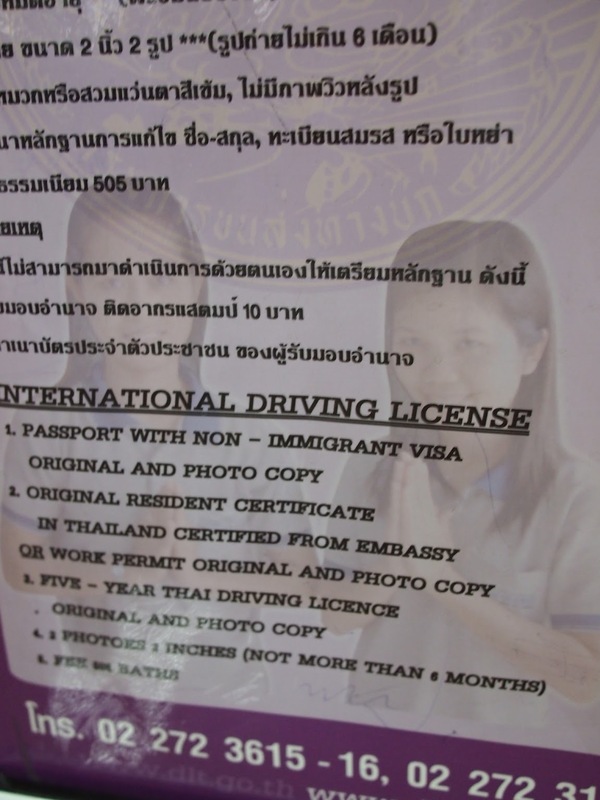 They had this poster in the Bangkok DMV. If you noticed, you had better have a valid visa. This is what the official notation is in the office. As you can see, it's all in Thai. 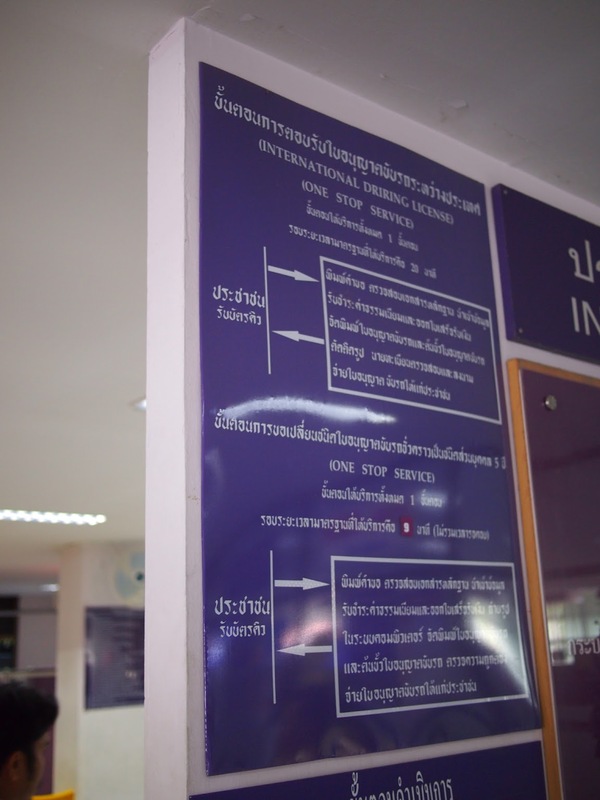 So, if you can't read the language, you had better get some help. The DMV is the same everywhere. 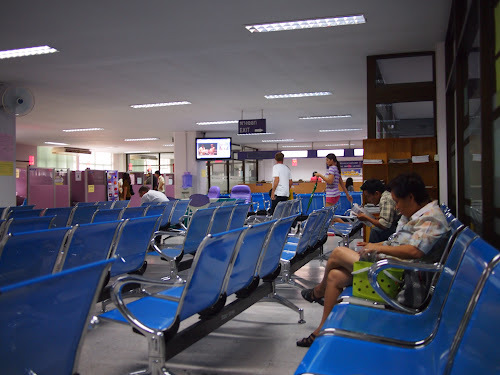 You hurry up and sit down and wait your turn. Not exactly the most productive way to spend a day.